I have the motor out of my speedster to replace a broken crankshaft, so I can give you a good shot of the double wishbone fitted. 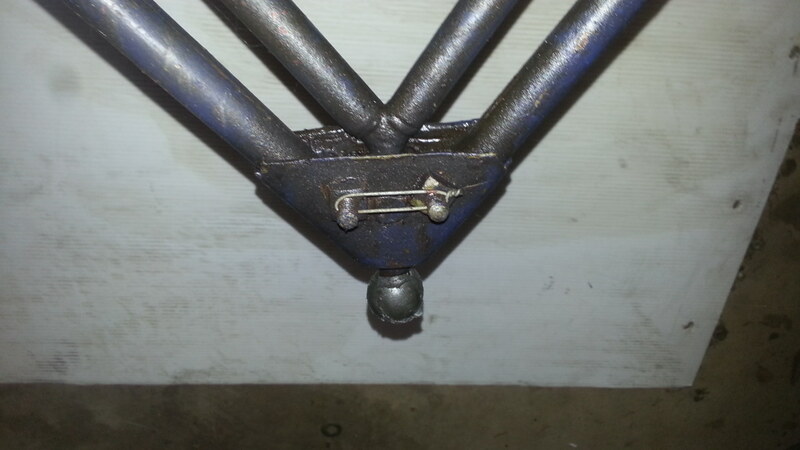 This is a period piece from an old chassis.The lower wishbone is a modified over the axle type. The worn ball has a groove ground in it to locate it in the yoke of the upper wishbone. The plates clamping it in place are blacksmith forged pieces of an old plow share, complete with manufacturer's stamp. The front end has the threaded forgings removed, and the tube has simply been hammered flat, drilled and bolted in place by the perch nut under the axle. Thanks for sharing. Most have never seen one including myself.